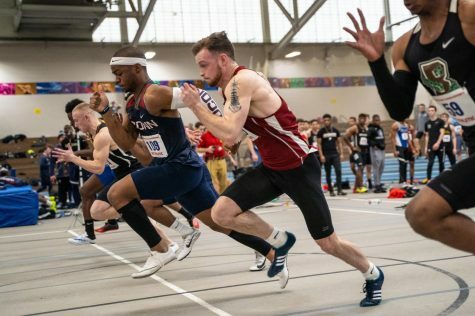 As the spring season continues to quickly blossom for the Massachusetts track and field teams, the fruits of their labor are beginning to show. 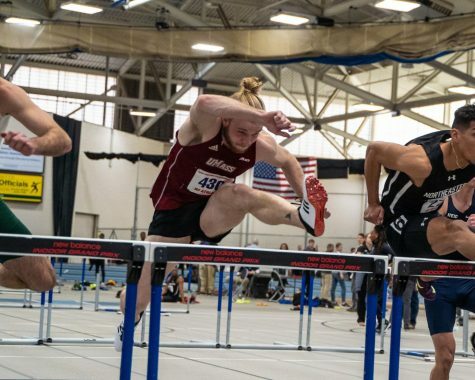 Both the men’s and the women’s squads produced top performances at the UMass invitational during the two day meet. 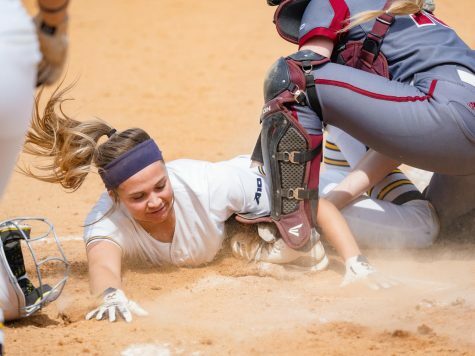 The Minutemen claimed the top spot with 125 points, while the Minutewomen’s 103.64 points was good enough to capture second-place. “I love first place,” said UMass men’s head coach Ken O’Brien. 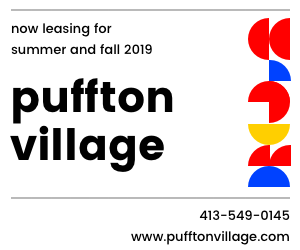 “It’s a great place to be. Any first place sets a tone, or an attitude, saying, as you walk away from the meet, that we did a good job. 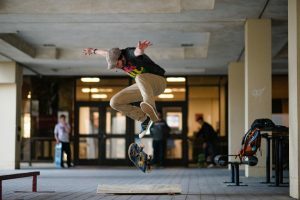 O’Brien pointed to first-place as a morale booster for all members of the team, not just those who performed well. 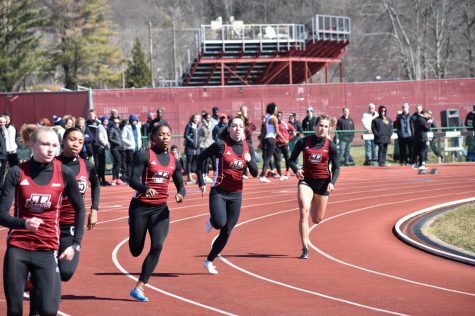 Strong performances across the board propelled the team into the top spot, starting with a second-place finish in the 4×100 meter relay. The fully underclass contingent of Stephen Bigelow, Patrick Farnham, Joshua Arons and Quinn Ryder came through in 42.88. Sophomore’s Jared Reddy (3:56.81) and Patrick McGowan (3:57.48) highlighted a strong 1500-meter run. Reddy collected second place points, while McGowan crossed the finish line in fifth. Following the meet, O’Brien labeled Reddy’s performance as a surprise. 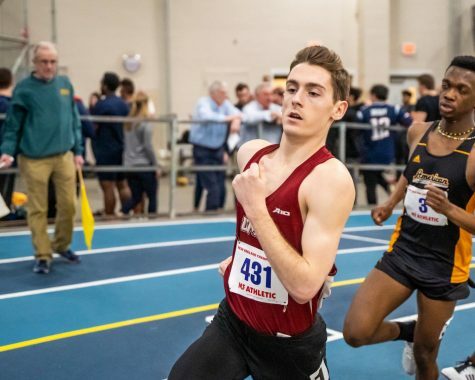 The Minutemen also had 10 entrants in the 800-meter run, highlighted by Thomas Mullen’s 1:53.84, which was good enough for third place. 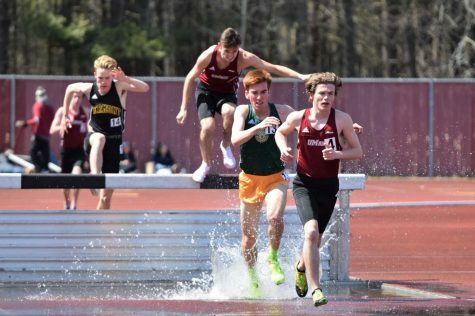 Stephen Ness (1:58.41), Jacob Reed (1:58.93), Zachary Hildenbrandt (1:59.32), Michael McDonough (1:59.59) and Reddy (1:59.70) were five UMass competitors who recorded sub-2:00 races. 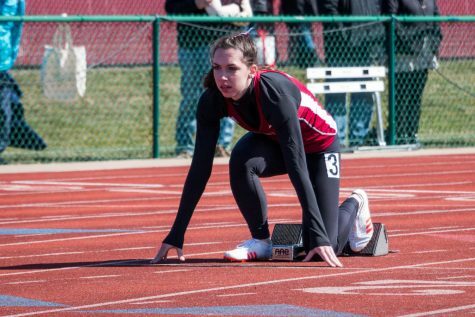 The Minutewomen were guided to a second place finish by a number of top performances in the field events, a trend going back to the beginning of the indoor season. Junior thrower Nalis Mbianda (46-06.25) took first in the shot put. Rachelle Borque (43-01.50) also claimed fourth place in the same event, as well as a first in the javelin throw (139-02). 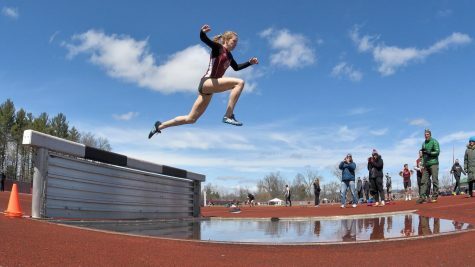 UMass claimed third, fourth and fifth in the long jump through the leaps of Katherine Finnegan (18-03.00), Ashley Palmer (17-08.00) and Rebecca Banker (17-06.75). Finnegan’s third place jump qualified her for the New England Championship meet. On the track, Karen Roa (10:36.26) secured vital first place points in the 3000-meter steeplechase, but her time left her five seconds short of her all-time UMass record of 10:31.28. 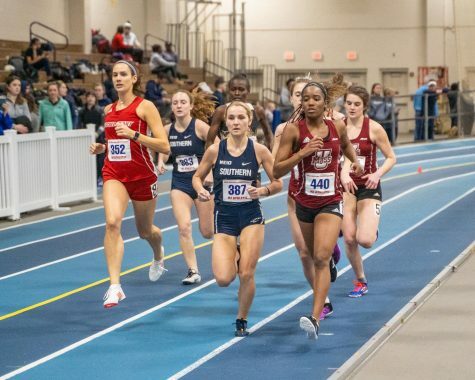 Of UMass’ seven competitors in the race, freshman Courtney Neves (2:15.27) and senior Claire Pettit (2:16.59) were the two scorers in the 800-meter run. Crossing fifth and seventh, respectively, The pair secured key points in the Minutewomen’s second-place performance. 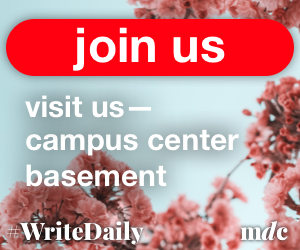 In the 1600-meter relay, the Minutewomen found themselves dueling against teammates, with both a strong A- and B-team. The B-team (4:00.49) of Petitt, Meghan Leahy, Maria Marascia, and Meghan Landry, bested the A-team (4:00.60) consisting of Sarah Bitterman, Katie Powers, Michelle Jenssen, and Deanna Julian. With end of the regular season winding down, both teams will travel to Worcester for events at Holy Cross. 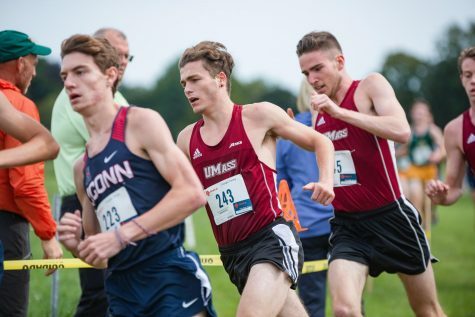 The men will take part in the Holy Cross decathalon starting today, while the women face the competition at the Holy Cross Invitational this weekend.